Rate this Article Although horse games aren't exactly one of the most massive genres out there, there are quite a lot of variety of horse games that are available in this day and age - among them is the text-based ones. In this article we’ll be talking about some of the absolute best text-based horse games that are similar to Howrse that we’ve had the pleasure of enjoying. Although horse games aren't exactly one of the most massive genres out there, there are quite a lot of variety of horse games that are available in this day and age - among them is the text-based ones. In this article we’ll be talking about some of the absolute best text-based horse games that are similar to Howrse that we’ve had the pleasure of enjoying. Before we get into the games themselves, it’d be best to talk a little bit beforehand about how they managed to acquire a spot on this list. The primary thing we considered when looking for the best text-based horse games was how much content and longevity a game has. You’ll notice that pretty much every single game that’s on this list can be played hours upon hours every single day for months and you still won’t have seen all that it has to offer. Secondly, we also made it a point to take only those games into serious consideration that have been presented properly. Although text-based games don’t really focus on visuals that much, it’s still important that they come with a properly designed user-interface, easy to navigate and are good enough to look at. The following 5 text-based horse games are games that we think Howrse players would enjoy. White Oak Stables is a great game that’s the perfect fit for competitive players. The game puts a lot of emphasis on training your horse and entering into multiple different competitions. There are lots of different horse breeds to choose from and multitudes of competitions to participate in so you’ll definitely be kept busy for quite some time if you get into this one. My Dream Stable is a horse game that goes above and beyond to provide its players with one of the most captivating experiences ever. In this game you’ll get to manage your very own stable and can raise multiple different horses at the same time. Alongside horses you can even have other animals in your stable like cats, dogs and rabbits and this is a neat little feature that adds a lot of depth to the game. Sport of Kings is another high-intensity horse game that’s been targeted towards the competitive audience. In this game you can breed and train your own horses and enter them in races but at the same time if you want to skip the breeding part then you can directly purchase a horse, enter it into a race and use your superior skills to triumph. The races are intense and overall this is a very addicting game. Track King probably has the best implemented progression system out of all the games on this list. It rewards players for consistently doing well by moving them up the ladder and as you move up the ladder you’ll get to play against higher skilled players in races that keep getting more and more intense. The game also gives players access to their very own stable that they can manage. Equination is one of the most full-fledged text-based horse games available. It has something for everyone so whether you’re a casual player or a competitive one, you’ll find a way to enjoy what Equination has to offer. 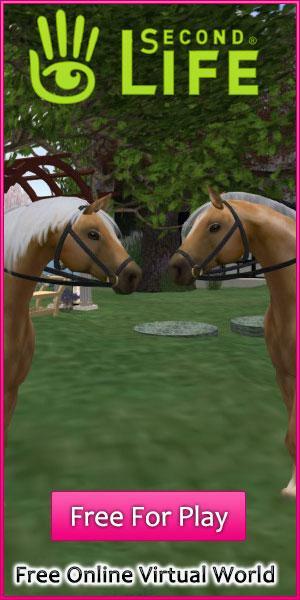 In this game there are multitudes of different horse breeds to choose from, a stable in which players can raise their horses and of course intense races to participate in. Overall, we feel that while there are lots of spectacular text-based horse games out there, the ones above are above and beyond their competition.